See here all the news published that we know of. Cyberchair system is ready to receive your submissions. 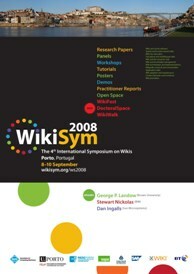 WikiSym 2008 will be realized in cooperation with ACM SIGWEB. 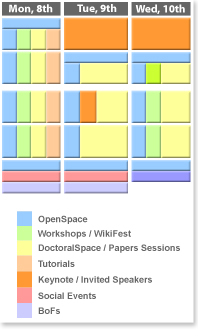 A first set of contents for the WikiSym 2008 web site is online. See submissions pages for more details on all kinds of expected submissions. WikiSym 2008 - the 4th International Symposium on Wikis, will be held in Porto, Portugal, September 8-10. This page was last modified 07:52, 19 September 2008.